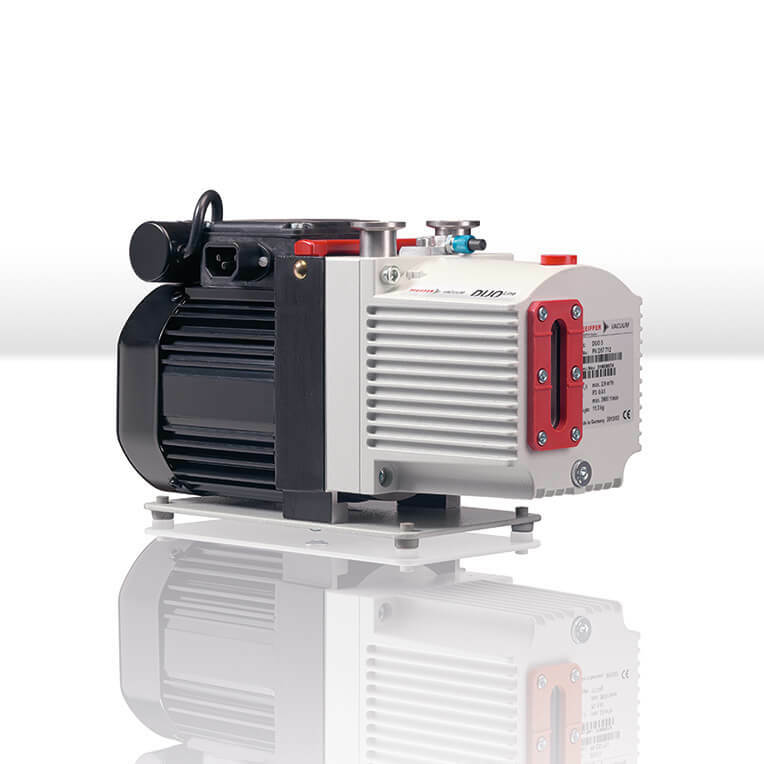 The two-stage rotary vane pumps of the DuoLine cover all applications in the low and medium vacuum range of up to 10-3 mbar. These pumps offer reliable operation even for such critical industrial applications as drying processes, metallurgical processes or resin potting and casting systems. We offer 11 different promotion packages consisting of Duo 3, Duo 3 M, Duo 5 M, Duo 10 M, Duo 20 M, Duo 35, Duo 35 M, Duo 65, Duo 65 M, Duo 125 and Duo 255. Each pump will be delivered with oil mist filter and oil return unit as well as operating fluid P3.